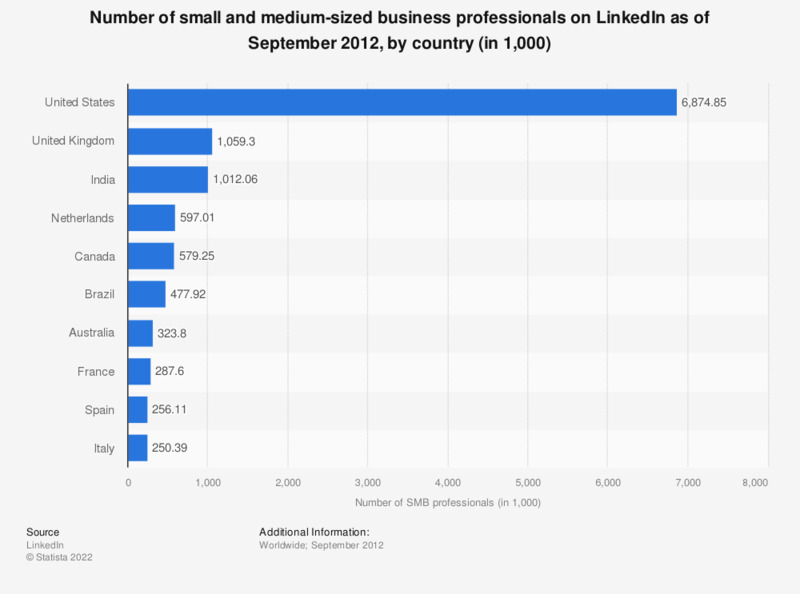 This statistic gives information on the ten countries with highest number of small and medium-sized business professionals who were registered on LinkedIn as of September 2012. During that month, it was found that 1.01 million SMB professionals from India were registered on the business networking site. SMB professionals who currently work at a company with 11 to 500 employees.